In 2004, Ecole de danse Powell School of Dance Inc. was founded with 7 classes on one day. Fourteen years later, Ecole de danse Powell School of Dance Inc. is teaching classes 7 days per week, operating three studios Monday to Sunday. We have established many new and innovative programs in addition to our Recreational program. In 2011 a Dance Therapy program was created. Called "Ballerina Dreams," this program is designed for children with physical and intellectual disabilities. Our Demonstrator program provides an opportunity for our experienced dancers to assist the teacher in the classroom. For five seasons, the PSOD Dance Team has competed successfully, achieving high standings, scholarships, special judges' awards, and cash prizes. The PSOD Dance Team consists of talent from the community. These local young people have very impressively made a name for themselves in the Toronto dance industry. Our dancers are taught to be goal-setters and high-achievers, and that hard work equals success. They are taught to embrace their education in the fine art of dance. The PSOD Dance Team community is a group of close-knit dancers and their families. It is with great pride and pleasure that Ecole de danse Powell School of Dance Inc., family and friends congratulate the PSOD Dance Team for their accomplishments and achievements! In 2015, to further celebrate our successful history as two generations of dance professionals, Ecole de danse Powell School of Dance Inc., inaugurated the Grand Opening of our new facility at 435 Second Street West. We offer a 4500-square-foot studio, including a new technology in dance floors, that is shock absorbent to protect joints and has just the right amount friction for turns, leaps and jumps, combined with amazing acoustics for tap. Each of the three studios is between 800 and 900-SF and is equipped with a security camera and an outgoing phone system in case of an emergency, shatter-proof mirrors, and a professionally designed sound system. A fourth camera monitors the front door. The reception area provides parents of dancers a split video screen with a live feed from each studio for observation purposes. As well, parents and dancers can enjoy guest Wi-Fi. In an effort to provide a continued level of excellence in dance education to the Cornwall and Area, the faculty of Ecole de danse Powell School of Dance Inc. completed a three-year teacher certification in the Associated Dance Arts for Professional Teachers (ADAPT) teaching method for Jazz & Tap and the Acrobatique Acrodance Syllabus for Acrodance (certification in progress). The ADAPT & Acrobatique teaching methods are recognized in the industry as the “Gold Standard” in dance education. In September 2015, Ecole de danse Powell School of Dance Inc. began following the Royal Academy of Dance (RAD) teaching method for classical ballet. Powell School of Dance Inc. is a recognized member of the RAD. In September 2017, Powell School of Dance Inc. began following the ADAPT Ballet Syllabus, which is rooted in the Russian method for the teaching of classical ballet. It is our long-term goal to offer graded dance exams in Classical Ballet & Acrodance. Ecole de danse Powell School of Dance Inc. is recognized as an accredited ADAPT dance school, and is qualified to offer dance exams; further accomplishing our mission to become a SCHOOL of dance. It is the long-term goal of Ecole de danse Powell School of Dance Inc. to provide a quality dance education at family affordable prices to the community of Cornwall and area. The on-going objective of Ecole de danse Powell School of Dance Inc. is to promote fine arts and culture to the youth of Cornwall, by instilling a healthy appreciation of dance and related performing arts. Ecole de danse Powell School of Dance Inc. gives to its clientele university-educated and bi-lingual instructors, trained in working with all children of all ages and ability levels, including children with special needs. 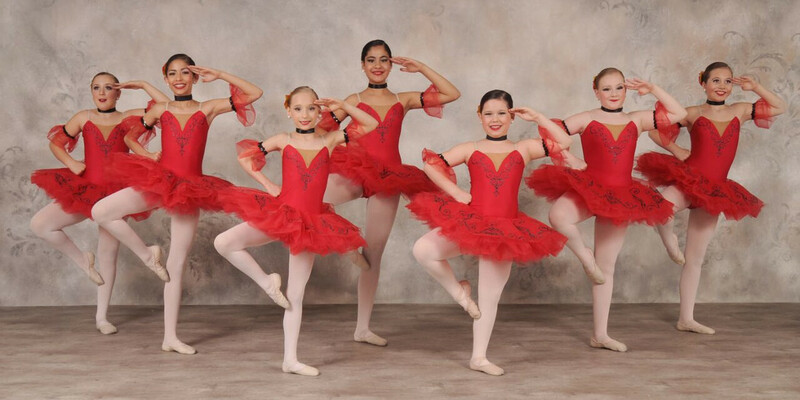 Ecole de danse Powell School of Dance Inc. takes pride in being a SCHOOL of dance, with education being the focus of all programs that are taught. And, as we have always believed...the best is yet to come!